that shot is from the delivery centre, so probably just before departure. 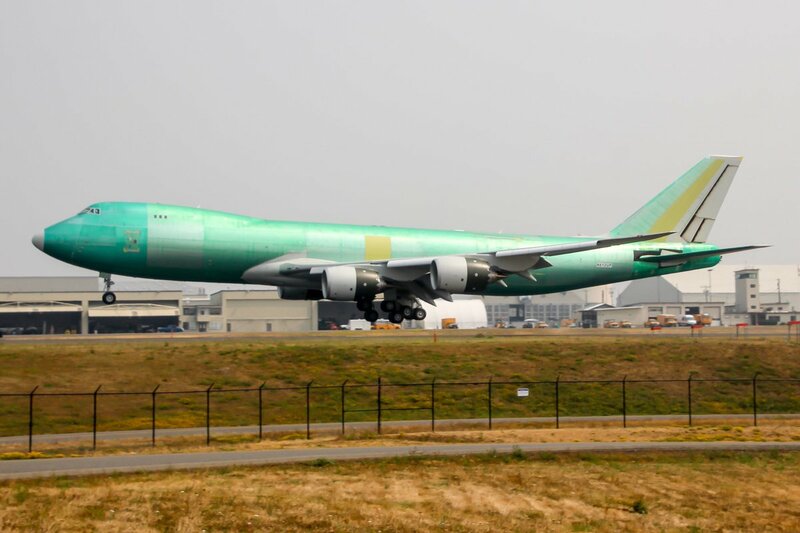 Saudi crown prince coming to SEA and meeting officials from Boeing, can we expect any 747-8i orders? Operating a twin over the ocean, you're always one engine failure from a total emergency. It seems that N828BA has been used for flight testing a durability upgrade for the GEnx-2B/P engine. 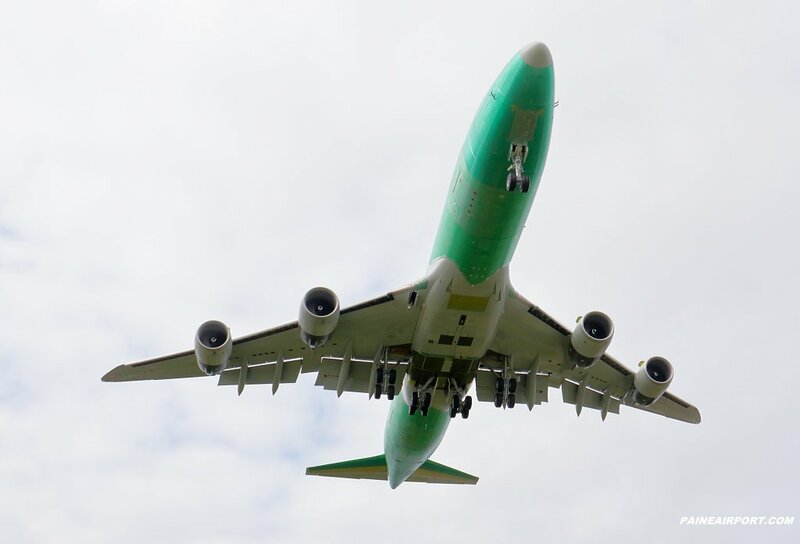 For that purpose the aircraft was ferried to Boeing’s rapid modification centre in San Antonio in Feb/March of this year. The test are completed and the engine has been removed mid March. The first factory new upgraded engines are scheduled for mid 2018. - 3) the first stage rotorblades of the high-pressure turbine. The improvements will increase time on wing for the engine. 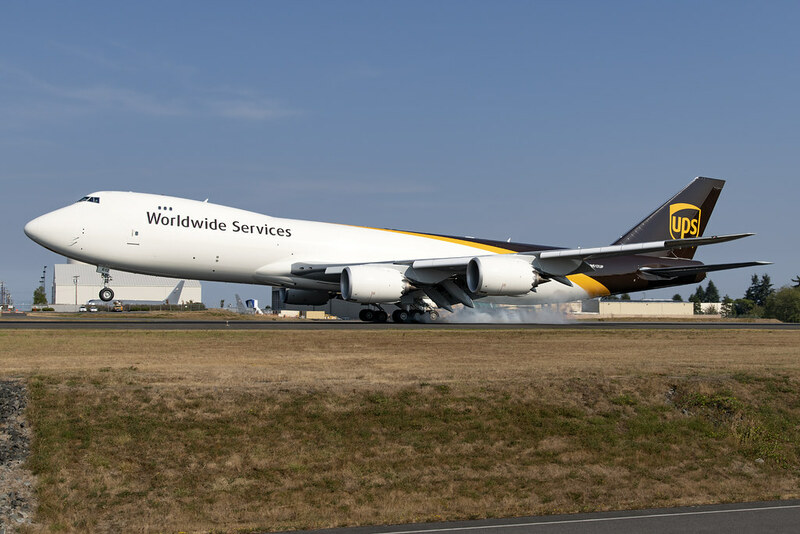 N610UP delivery was original scheduled for 07/15/2018 but the aircraft will probably be delivered ahead of schedule due the present capacity restraints at UPS. Does anyone know who can only new owner of VQ-BSK? And the A40-HMS, forecast when ready for Oman? Thank you. VQ-BSK I think is still for sale, AFAIK no one purchased it yet. A4O-HMS is a replacement for A4O-OMN as a air transporter for The Sultan of Oman. Any predictions for the HMS to be ready and delivered? He's been riding the interior since 12/2012. 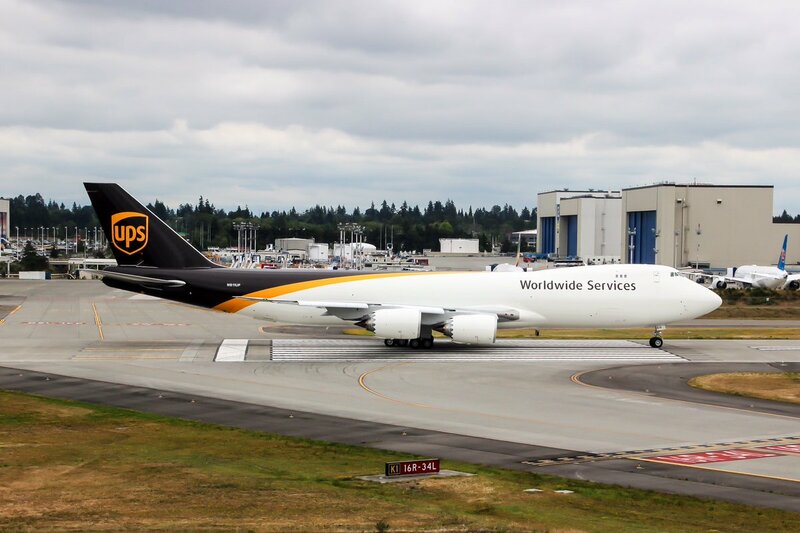 According to Boeing this 747-8F is supposed to delivered to ups on 7-2-18. Correction: it was delivered today instead. Sorry about that. Any updates on VQ-BSK? Photos in BSL? And any information on when the A40-HMS will finally be finalized? Skyliner-aviation.de reports that N828BA has been ferried from Kelly Field Annex (formerly Kelly Air Force Base) to VCV on 15th June 2018. Was it in SKF for testing relating to new AF1? And according to both FR24 and FlightAware, it ferried from BFI>SKF over three months ago on March 11th! Interesting! Last edited by audidudi on Mon Jun 18, 2018 2:45 pm, edited 1 time in total. VQ-BSK is still for sale* and stored at BSL (AMAC hangar). Latest picture of VQ-BSK, landing at BSL at March 15th 2018. No new info about A40-HMS. 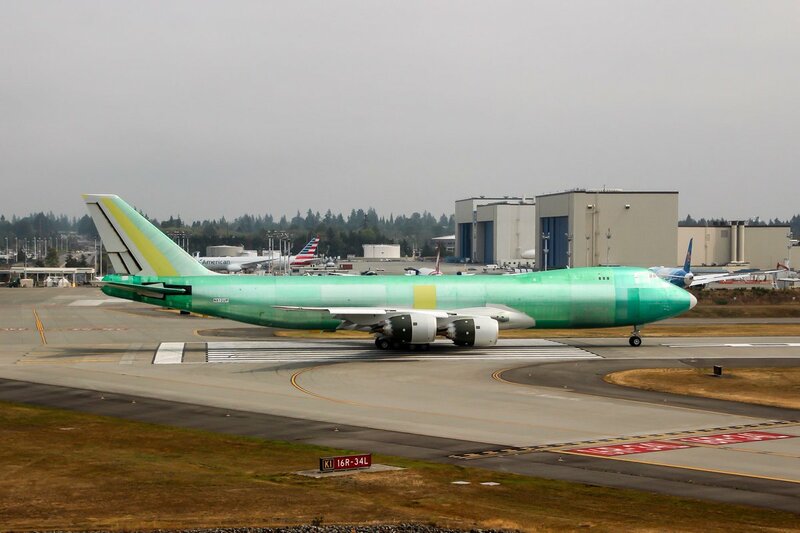 L/N 1548, N611UP (callsign BOE536) was ferried to Portland (KPDX) for paint at June 28th 2018. 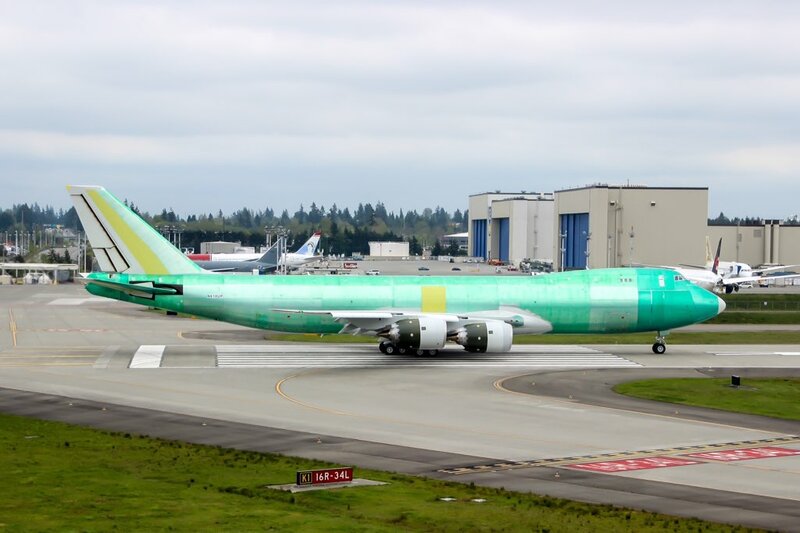 L/N 1548, N611UP (callsign BOE536) was ferried back from Portland to Paine Field after paint at July 10th. Is this the last UPS ? 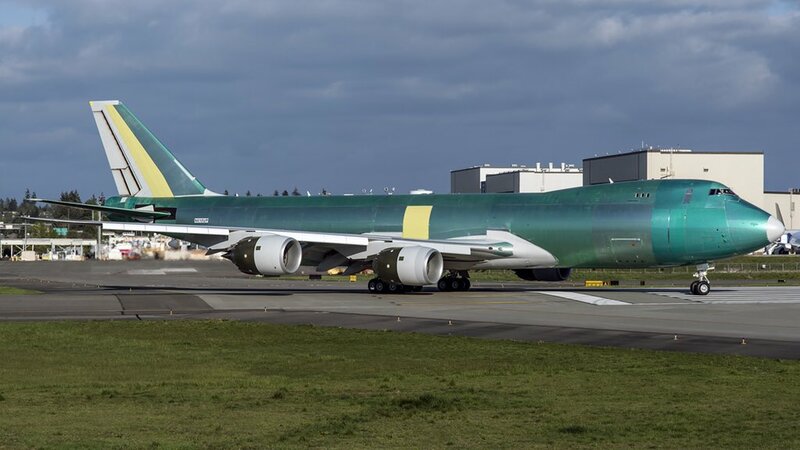 A delivery flight plan (PAE-SDF) has been filed for L/N 1548, N611UP, the next 747-8F freighter for UPS. Callsign will be UPS/5X 9105. Aircraft data : L/N 1548, 747-8F, RC536, UPS, serial number 64257, N611UP, roll-out June ? 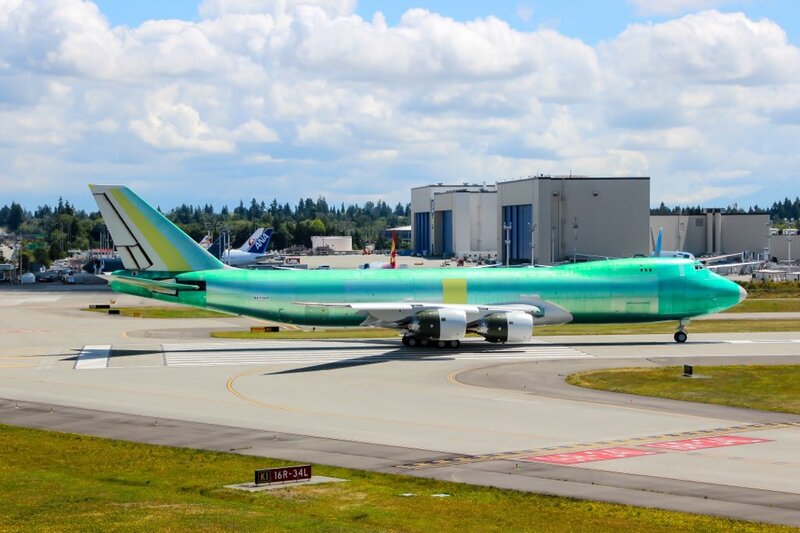 ?, F/F June 26th 2018, Ferried to Portland for paint at June 28th 2018, returned to Paine Field at July 10th 2018..
Has the next UPS 748F, N612UP, already left the assembly line? Outside as a greenie. Seen a couple of days ago. The UPS frame above is followed by another one, then a break for a single ABC frame, then back to a block of UPSs again. 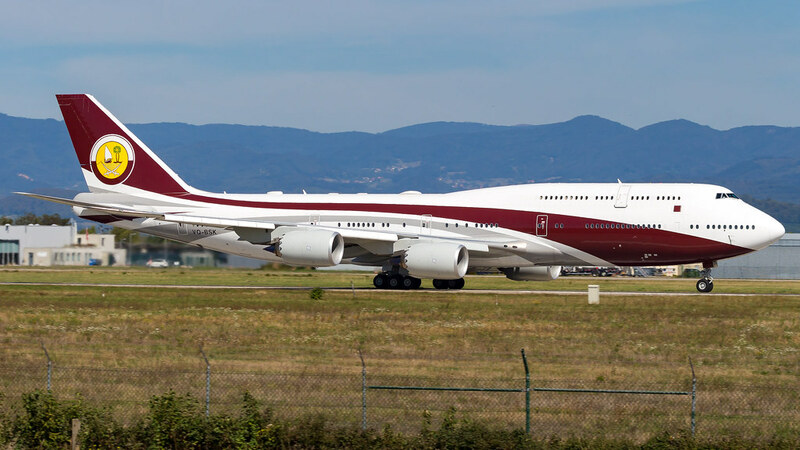 * L/N 1551 will be assembled in ABC configuration ( tabulation number block RC601 and further) with the (secret) Boeing operator identification code 645, most probably the airframe will be leased from a yet still unknown lessor. 645 is Volga-Dnepr UK Ltd. So this plane is for CargoLogicAir? No. AirBridgeCargo Airlines will be the operator. 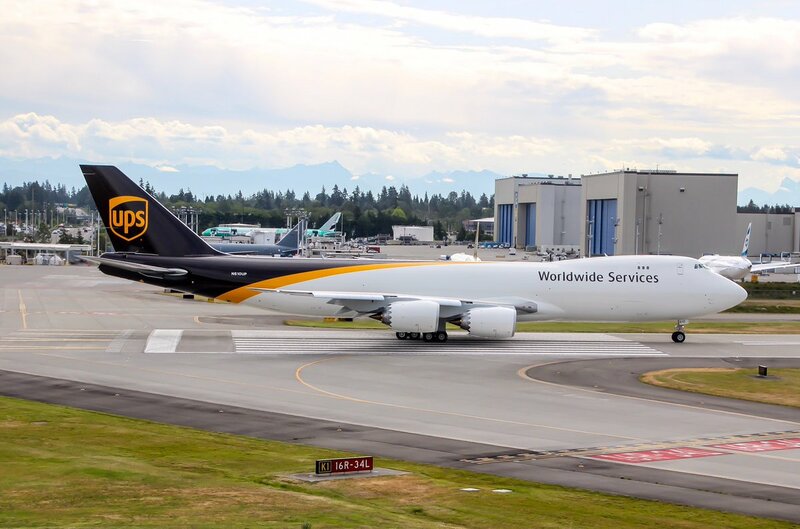 N612UP is the 8th 748F for UPS in a row, and the next 748F to leave the factory will again be for UPS, before a single freighter will be built for Air Bridge Cargo inbetween. 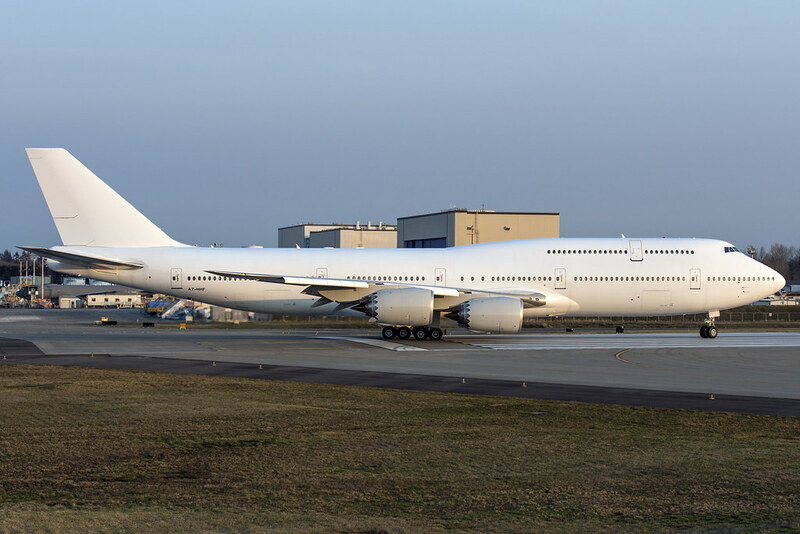 Never before have so many 747s been built for a single operator without a break inbetween. 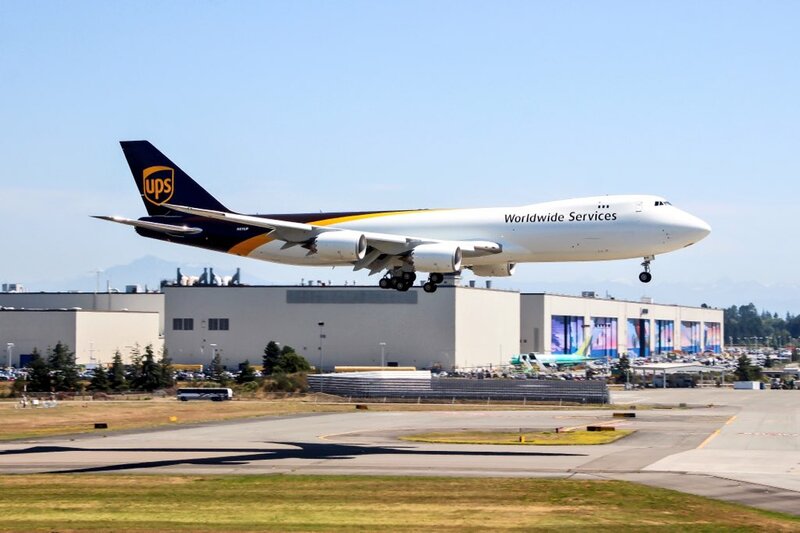 The last 748F not for UPS (also for Air Bridge) has been delivered almost one year ago. Delivered. 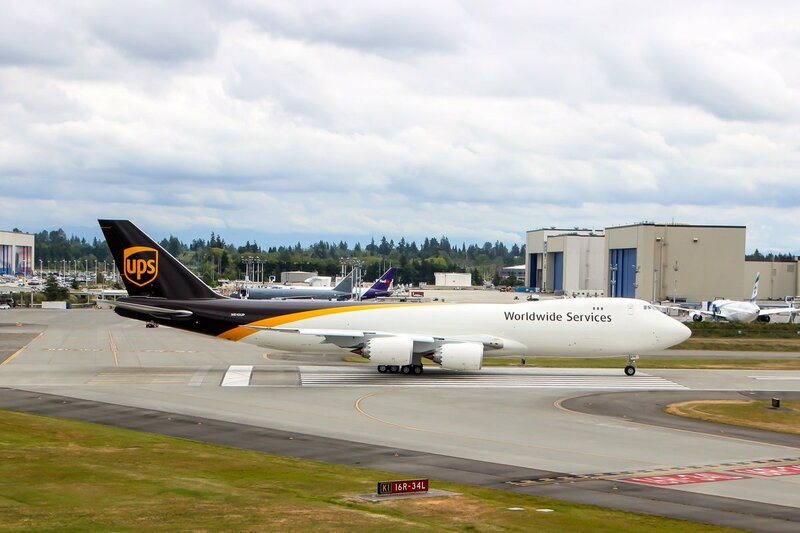 N612UP the 8th 748F for UPS ferried PAE-SDF on 9/6/18 with callsign UPS9105. N612UP, awaiting line up, KPAE, September 6th 2018. 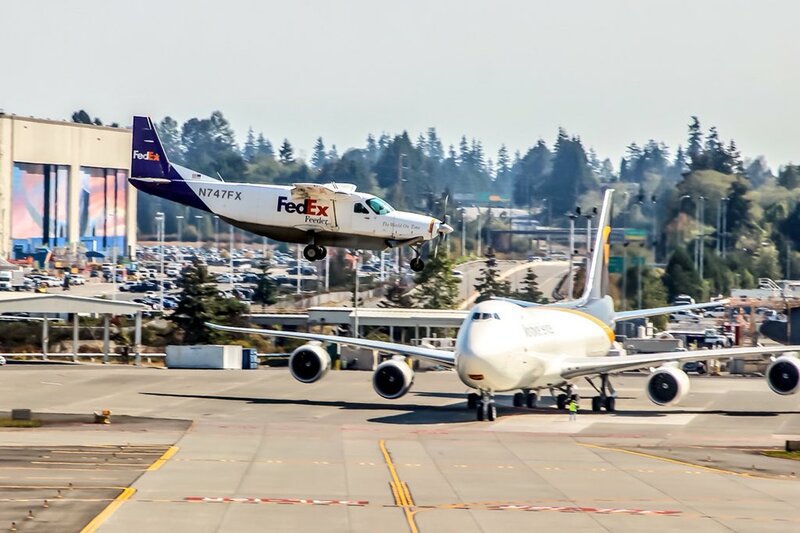 How ironic, Look for the registation of the landing FedEx Caravan. What? In the middle of a serious economical crisis the Turkish autocrat acquires such a decent new jet? The A340 isn´t enough of a trumpet? However, it´ll remain to look good if it will get a repaint in the A340 style. There's a sort of alliance in the brewing, between Qatar (who desperately needs friends) and Turkey, whose president is not above accepting a token of gratitude on a scale like this. 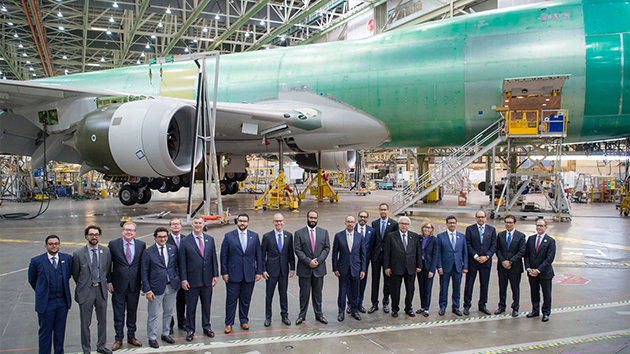 The 747-8i was inducted in AMAC’s Basel completion center in February for the 20-month project, the company’s second 747-8i completion, and will feature “a unique design,” said AMAC CEO Kadri Muhiddin at EBACE 2018. Company engineers will install an overhead Aeroloft in the widebody for the undisclosed repeat customer. A7-HHF, Paine field, just before ferry flight towards Basel, December 10th 2017.